Traditional country pub atmosphere. It has been an annual feature in the CAMRA Good Beer guide for 36 consecutive years and is rightly proud of its association with the organisation. 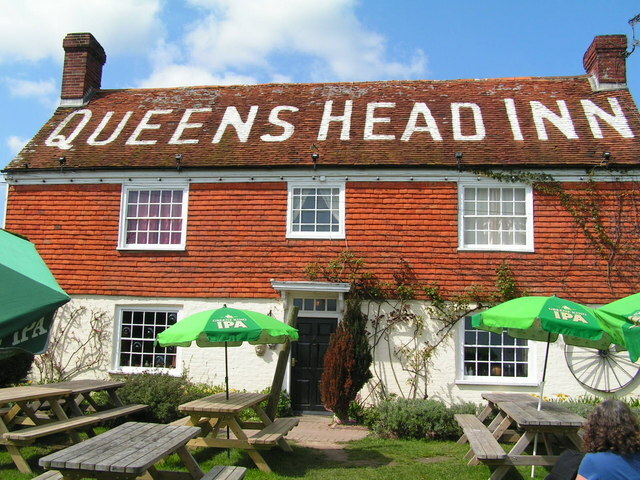 In return CAMRA acknowledged its excellence and awarded the title of East Sussex CAMRA Pub of the Year in 2005 and again in 2009. We are proud to be able to offer a mix of breweries local and nationwide, beers old and new brought together with a balance of tradition and innovation, in short something for every taste. Locally sourced food, vegetables, meat and fish, is prepared and cooked in our kitchen. Our menus are varied and designed to cater for all tastes. Whether you’ve had an enjoyable or disappointing experience at the Queens we’d like to hear from you. Please send your comments HERE together with the details of the date and time of your visit.